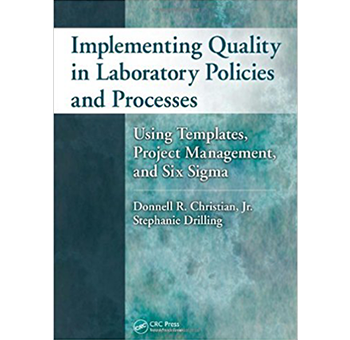 At the heart of every laboratory quality assurance program should be standards, procedures and a fact based methodology used to develop processes and measure quality. Six Sigma is one such methodology. The name Six Sigma is taken from the approach’s statistical roots. If a product or process achieves a Six Sigma level of consistency, then it is experiencing only 3.4 defects per million opportunities (DPMO). In other words, Six Sigma products and processes are 99.99966%. Six Sigma has been in existence for over thirty years. It has been implemented in numerous laboratories including Los Alamos National Laboratory, Quest Diagnostics, Abbott Laboratories and UNLV Biotechnology Center Forensic DNA Profiling Training Service Laboratory to name a few. Why is the implementation of Six Sigma, or any quality assurance tool important to the success of the forensic laboratory? Every quality assurance tool is essential in insuring the reliability of the results of the examinations performed by the laboratory. 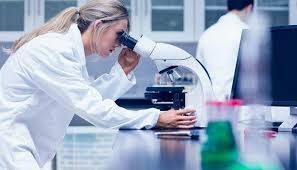 The reliability of the results of a forensic examination that protects a person’s liberty is second only to the reliability of the examination results that affect a person’s health. Therefore, every effort should be made to ensure the reliability of the results of examinations that influence a precious thing. Six Sigma provides that tool. The following headlines refer to errors in crime laboratories throughout the United States. These stories appear to support Mr. Saks’ assertions. Detroit (2008)- The Detroit police crime lab was shut down by the city’s new mayor and police chief after an a preliminary audit indicated about a 10% rate of inaccuracies related to ballistics evidence testing involving firearms. Seattle (2004)- A report in the Seattle Post-Intelligencer found that forensic scientists at the Washington State Patrol laboratory had contaminated tests or made other mistakes while handling DNA evidence in at least 23 cases involving major crimes over a three-year period, including eight instances in which analysts contaminated samples with their own DNA. Saks, Michael et al. (2001), “Model Prevention and Remedy of Erroneous Convictions Act, “Arizona State Law Journal 33: 665-718.